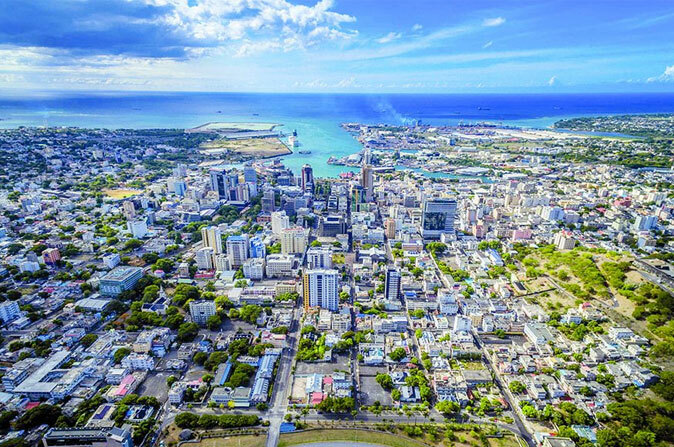 Mauritius has created an economy, government and business environment that outshines the rest of Africa. Now 50 years after independence, Mauritius’ rise has become a success story symbolic to the emergence of an entire continent. Meade’s British worldview may have fogged his foresight. As Mauritius celebrated its 50th anniversary of independence last year, his dire assessment is now famous for being so wrong. Mauritius has been lauded an “economic miracle,” not once, but twice – first in the 1990s and then today – for increasing per capita GDP from $400 at the time of independence to $10,500 in 2018, all without any exploitable natural resources. As if to demonstrate credibility for its miracle, Mauritius has in parallel with its economic rise become among the least unequal of African nations. Today there are few success stories as symbolic to the rise of Africa as Mauritius. And with new economic status, greater diplomatic clout has followed. Mauritius is now boldly working to readdress British-era disputes by taking on the UK in the International Court of Justice to reclaim sovereignty of the Chagos archipelago, which was sold off in an independence-era deal. Adding to a long list of indices on which Mauritius is ranked number one in Africa, including as the most competitive, the most economically free, the most democratic and the best governed (see inside data, pages 4-5), is the nation’s superior magnetism for the rich. Port Louis is now the fastest growing wealth market in Africa, thanks in part to a property market that is increasingly dominated by South Africans looking to “hedge their bets” against volatility at home. In comparison, Mauritius’ GDP growth is predicted to touch just over 4% in 2018 and 2019, while South Africa will hit 1.3% and 1.7%, World Bank data shows. While Mauritius’ first “economic miracle” was hinged on the then-emerging manufacturing and tourism industries, today the country’s lifeblood runs on modern services. “About 76% of our national output comes from the services sector, making it a major revenue generator,” observes Chairman Charles Cartier of the Economic Development Board, a new organization created through the merger of three government institutions to promote trade and investment, the ease of doing business, and Mauritius as an international financial center. Many economists after Meade have wondered just how an African island nation with no lucrative resources to speak of could become so developed so quickly. Mauritians found their solution in the 1980s, when unemployment was skyrocketing because the sugarcane industry was unable to absorb new workers. Free education was then provided alongside new industrial zones, enabling textile and light industries to set up and create new jobs. This, too, is a smart recipe that will not only bring growth but also greater international recognition, to which Mauritius is rightly due.